Komodo National Park is perfect for snorkelling, diving and exploring – and discovering these amazing creatures. If you’re heading to Indonesia, a visit to Komodo National Park is a must. Home to the majestic Komodo dragon and ideal for snorkelling, diving and exploring, it’s an idyllic pocket of the southeast Asian country. And as both a UNESCO World Heritage Site and one of the New 7 Wonders of Nature, it’s definitely a spectacular visual feast. What is Komodo National Park? Komodo National Park is in the middle of Indonesia, between the islands of Sumbawa and Flores. It stretches across three big islands, Komodo, Rinco and Padar, and over 20 smaller islands, altogether known as the Lesser Sunda islands, or Nusa Tengarra. 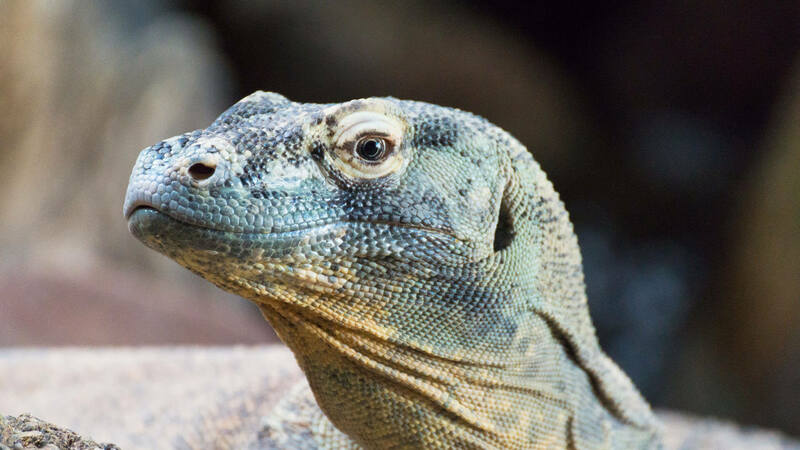 The park was established in 1980 with the aim of protecting the native and unique Komodo dragon and its habitat. However, in the years since, the park’s goals have expanded to include conserving its entire biodiversity, including marine life. As well as its famous reptilian namesake, the park is inhabited by many other weird and wonderful creatures, such as the orange-footed scrub fowl and the Timor deer. It also boasts one of the richest marine environments in the world, and is home to more than 1000 species of fish and 14 species of whales, plus dugong, dolphins, sharks, sea turtles and manta rays. The Komodo dragon (Varanus komodoensis), also known as the Komodo monitor, has ancestry going back over 100 million years. Today it is one of the world’s largest living reptiles, reaching up to three metres in size and over 70 kg in weight. The dragon’s diet consists mostly of the native species of deer that live on the island, as well as other mammals and birds. Unfortunately the continuing poaching of the Timor deer, the dragons’ main source of food, is an increasing threat to the survival of the animal as a species. "The Komodo dragon is one of the world’s largest living reptiles, reaching up to three metres in size and over 70 kg in weight." Stick with your group. Komodo dragons have been known to chase people who venture off on their own. And you definitely don’t want to be chased! Stay close to a ranger. Rangers are trained to protect and educate tourists on how best to behave in the presence of a Komodo. Avoid making sudden movements. Komodos may attack if they feel threatened, so be careful not to make any large or sudden movements. Don’t make loud noises. As with sudden movements, try to keep shouting to a minimum so as not to disturb your dragon friends. Lay off the strong perfumes. Komodos have a keen sense of smell, and are attracted to sharp odours, so try to avoid applying perfume when you’re trekking in the park. These stunning animals and their beautiful home are truly a wonder to behold, and the most important thing to remember is to have fun. But we all know that unexpected things can happen when travelling to far and away places. Make sure you protect yourself and your family with the right travel insurance. What vaccinations do I need for Malaysia?